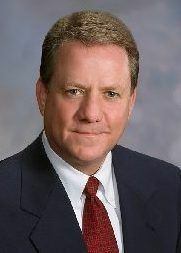 Ben Shepperd serves as the President of the Permian Basin Petroleum Association based in Midland, Texas, since 2006. In that role he represents oil and gas interests before legislative and regulatory bodies in Texas, New Mexico and Washington, D.C. He has more than twenty years working on state legislative and regulatory issues. His Austin experience includes staffing several Texas House members, including David Swinford, Harvey Hilderbran, and Buddy West. He served as committee counsel for the House Energy Resources Committee under Chairman West. He also served as Chairman Hilderbran’s water policy advisor in the 79th Legislative Session focusing on issues before the Natural Resources Committee. He also worked for three different state agencies over those years, including the Department of Agriculture, director of Rural Affairs for the Department of Economic Development, and as Legislative and Policy Director for Commissioner Charles Matthews at the Railroad Commission. He holds a Bachelor’s Degree in Economics from the University of Texas at Austin, and a Bachelor’s Degree in Animal Science from Texas A & M University in College Station. Mr. Shepperd is a board member of the John Ben Shepperd Public Leadership Institute Foundation at the University of Texas at the Permian Basin, as well as on the Advisory Council for the UTPB School of Business.